The Mini brand is a great British success story. Oozing style and personality, we've got some great mini lease deals to tempt you. The build quality and sheer fun of drving the Mini is making it one the Uks most popular small cars and a great export too. 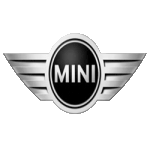 Check out our Mini lease offers and best buys.